Where is Priyanka Gandhi? One of my friends asked Initially I failed to fathom what exactly he was asking me. It took me few seconds to realize that he was asking about Gujarat elections and really the question was quite pertinent. Really where is she? Why is she not taking part in the election campaign? 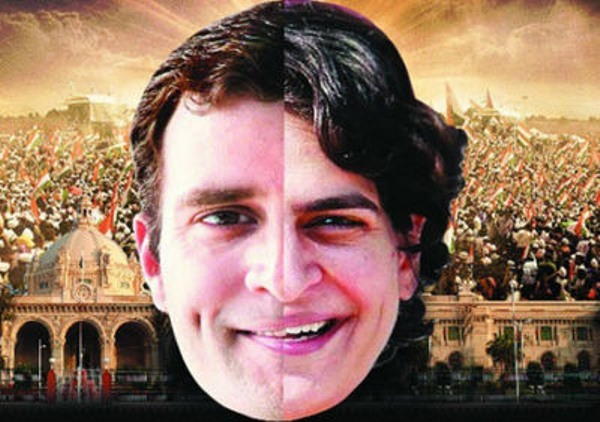 Demand for giving active role to Priyanka is gaining grounds in Congress – particularly in Uttar Pradesh. Big hoardings had come up from time to time asking for Priyanka to take up the mettle as Congress president. Even local Congress leaders say that Priyanka should join active politics but her absence from Gujarat campaigning is bit amusing. I remember during UP’s election Congress’ poll manager P.K. had suggested that Priyanka should be given the charge of election campaign. The thinking in Congress that time was Priyanka will emerge as the first choice of youth, but 10 Janpath spiked the proposal. On Saturday Congress released the names of its star campaigners and Priyanka is not part of that list. This proves one point – Congress leadership believes that Priyanka could be useful for Uttar Pradesh only not for other parts of the country. One of the insiders vouch that Priyanka is not inclined towards active politics. Even in UP her campaign is limited only to Rae Bareli and Amethi. If she starts active part in politics now tongues will start waging about Rahul Gandhi and that may hit Congress in Gujarat. He has a point, Boss.